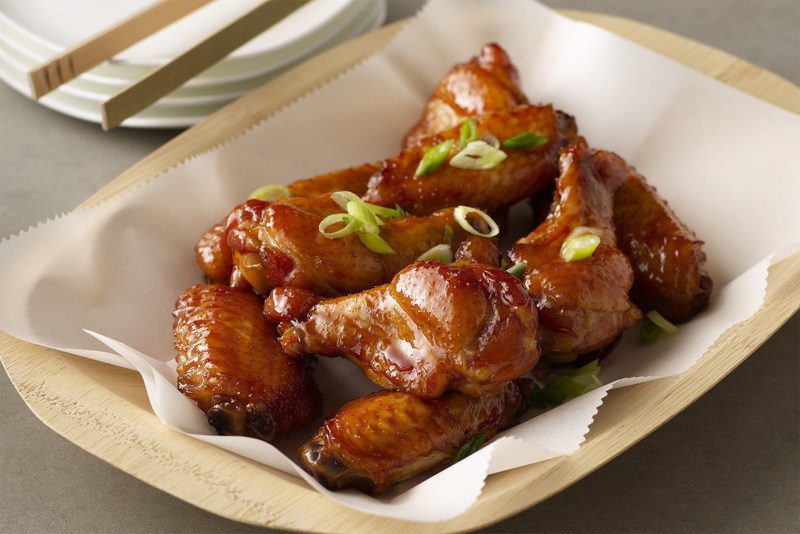 Bring these wings for get-togethers, parties, or potlucks and they are sure to disappear! Combine the brown sugar, soy sauce, water, and mustard in a medium saucepan over medium heat. Cook, stirring occasionally for 5 minutes. Remove from the heat and let cool. Cut the wings apart and discard the tips. Place the wings in a 13” x 9” baking pan. Pour the sauce mixture over the chicken. Cover and refrigerate for at least 2 hours or for up to 24 hours. When you are ready to cook, preheat the oven to 350°F. Bake the chicken for 1-1/2 to 1-3/4 hours, turning once until deep golden brown, tender, and thoroughly cooked. We suggest baking the wings at home and keeping them in a slow-cooker for easy do-ahead preparation.